DIS basketball players are heavily schooled in the fundamentals of the game, with teamwork and sportsmanship at the center of every practice and game. DIS teams are excited to chase the IAA and TAPPS state championships in the coming season. 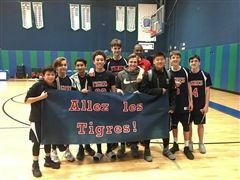 The Tigres took a tough loss in the championship game, but this middle school team was still one of the best in DIS history! Congrats on a great season, guys! 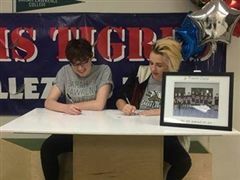 A big congratulations to seniors Calista Fyfe and Jeanne Freeland for signing their letters of intent to play basketball at Sarah Lawrence College next year!